How Does 'Dragon Ball Super: Broly' Retcon Broly? 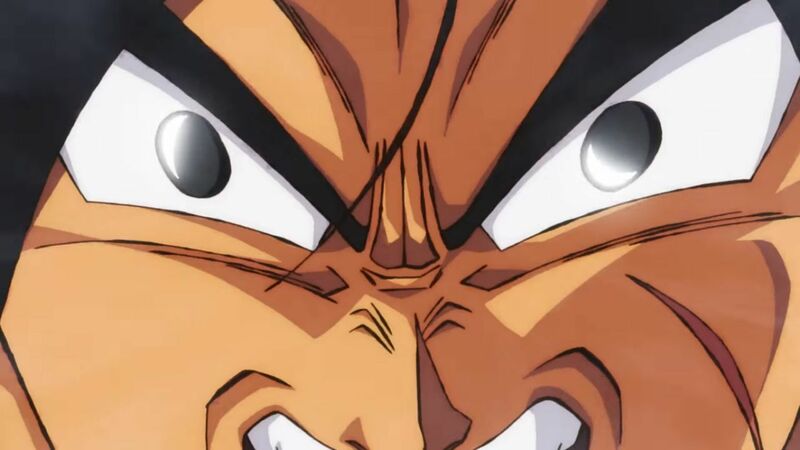 Dragon Ball Super: Broly is a huge marker for the film franchise as it brings fan-favorite movie villain Broly into the Dragon Ball's series canon officially. This has been especially alluring to fans given that series creator Akira Toriyama is handling the character's retcon. But how exactly has Broly been changed from his original appearance in Dragon Ball Z to be more in line with Dragon Ball Super? The character's been retooled from the ground up and is now a completely different character than fans are familiar with. There are tons of changes, both major and minor, starting from his visual overhaul, battle power, origin, and relationships with characters like Goku, and new additions like Cheelai and Lemo of the Freeza Force. While this explainer does not go into every small detail of his new character, these are the major retcon changes to Broly's portrayal that will have effects should the character appear again at another point in the Dragon Ball series. Read on to find out how Broly's been retconned for his canon debut in Dragon Ball Super, and naturally, there are major spoilers for Dragon Ball Super: Broly below! In The Legendary Super Saiyan, Broly is a baby born with tremendous battle power and is subsequently sentenced to death by King Vegeta. Paragus tries to stop this but is wounded in the struggle. Broly then awakens to his massive power and flies he and his father off of Planet Vegeta before it's destroyed by Freeza. It's also revealed that Broly has a grudge against Goku (leading to the famous "Kakarot" yelling) because he wouldn't stop crying as a baby. This mix of things lead to him becoming unstable mentally over the years. But in Broly, King Vegeta instead exiles baby Broly to the "repugnant" planet Vampa because he's jealous that Broly's power surpasses his son's. Rather than fight this, Paragus instead flies off in a ship and ends up crash landing on Vampa. The two are then stranded for years before being discovered by members of the Freeza Force. This new version does not carry the "Kakarot" subplot, as now Kakarot's nursery pod is far removed from Broly's. This time, the plot is set in motion because Broly's is too close to Vegeta's. Also because Broly is exiled rather than sentenced to death, he no longer has the major would in his stomach that becomes an exploitable weak spot as an adult. In Dragon Ball Z, Broly and Paragus' relationship was volatile. Broly became such an uncontrollable being driven insane by what happened to him as a child that Paragus had to attach a mind-control device to keep him in check. Because of this, Broly takes the first chance he gets to completely be rid of Paragus and kills him. In the new film, their relationship has a bit more nuance. Although Paragus raises Broly to be a warrior on Planet Vampa in order to get revenge on King Vegeta, much like the original incarnation, Broly isn't a wildly incoherent being. He only goes out of control when enraged, so Paragus attaches a shock collar to him to subdue him when he gets angry. When Cheelai and Lemo grow closer to him, they bad mouth Paragus for raising Broly to be a fighter when he doesn't want it. But Broly has a respect for his father unseen in the original. At the end of the day, Broly won't let others bad mouth someone who raised him. There's a complicated connection there, but a emotional connection nonetheless. It comes into play later into the film as well. With Broly's new origin, he has no idea who Goku and Vegeta are. Their first meeting in the film is handled much differently as well. Rather than traveling to "New Vegeta," Broly and Paragus are brought to the Earth's ice continent as part of Freeza's efforts to gather the Dragon Balls. Freeza recruits Paragus and Broly to the cause because he can't just see himself skipping an opportunity to pit Saiyans against one another, so it's all orchestrated by someone other than Paragus. Though Paragus still orders Broly to fight, and the character has the same baggage, there's an implication that the past isn't dictating how the current Saiyan trio feels about one another. Thus, the fight with Goku and Vegeta works out in a different way as the two kind of enjoy fighting anothee Saiyan. In the original, Vegeta was crippled by an inferiority complex and Goku was forced to fight Broly alone because of Broly's baby grudge. But here, Broly fights Vegeta first. Vegeta makes much of the first onslaught against the character, with him even feeling disappointed in Broly's performance. Goku tags in eventually, and the two team up to win overall in the end. But this fight, while it explodes in power, has a less convoluted core than the original. They're just three Saiyans testing their power against one another until Broly loses his control in rage. It's kind of tragic, given Broly's emotionally stunted growth. One of the bigger changes for the new Broly is how he activates his Super Saiyan form. There's actually a reason for it this time. 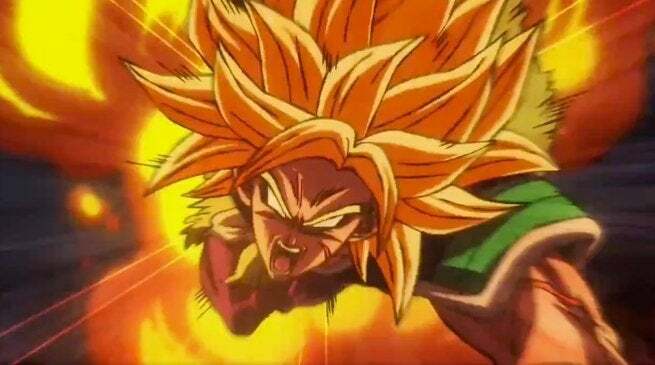 In his original incarnation, Broly has his Super Saiyan power essentially from the jump, with an activation of the "Legendary" form as one notch beyond his usual power. But in the new film, Broly doesn't reach the Super Saiyan form lightly. When he begins losing to Super Saiyan Blue Goku, it's implied that Broly has reached the edge of his base form, even with an additional boost he gets from activating his Oozaru power while maintaining his humanoid form. 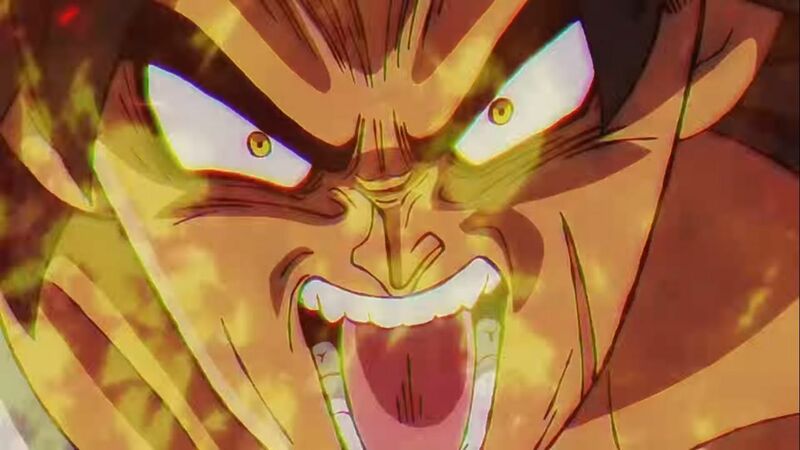 Remembering how Goku became a Super Saiyan with rage over Krillin's death, Freeza kills Paragus (capitalizing on the complicated relationship mentioned above) and this sends Broly into a rage enough to bring him to his Super Saiyan power. He eventually reaches a "Super Saiyan 2" esque transformation later in the film more akin to his "Legendary" form in the original incarnation, but this has a new root too as it's an extension of the Oozaru power Broly has tapped into. Much like his Super Saiyan activation, Broly has a much different base battle power than in the original films. Because he's being introduced into the series officially after Goku and Vegeta have reached literal godhoos level power, his power needed to be adjusted as well to keep the same impact from the original incarnation. Broly in his base form is seen keeping up with Vegeta's base form, and ovewhelmed by Vegeta's Super Saiyan power. This lasts for a second until Broly's rage brings him to that level, forcing Vegeta to transform into Super Saiyan God to stay ahead. Over the course of the fight, Broly's power grows to eventually overpower both Goku and Vegeta's SSG forms and at his strongest, can match up to Super Saiyan Blue. But once Broly goes Super Saiyan, it's all thrown out the window. Beating Goku and Vegeta's Super Saiyan Blue tag-team effort, and overwhelming Golden Freeza at a later point, his power at this point forces Goku and Vegeta to fuse. Super Saiyan Broly keeps up with Base and Super Saiyan Gogeta well enough, but is eventually defeated when Gogeta transforms into Super Saiyan Blue. Broly's final battle power, is only defeated when Goku and Vegeta's SSB forms are melded together and magnified. So it's safe to say that while his power gradually increases in the same way in the original incarnation, he ends at a point far more powerful than the old Broly. Slide 6 of 7He Has a Personality and Friends! One of the biggest changes to Broly's character for the series' official canon is that now he's an actual character. Rather than a being of pure destruction Goku defeats in an hour, he's become an empathetic figure who's being forced to fight due to his father's old grudges. Broly being exiled against his own volition has forced him to grow up in relative isolation and thus his "savage" tendencies are more indicative of his harsh upbringing by Paragus on an even harsher world. This new subdued personality makes him more receptive of others, such as Cheelai and Lemo of the Freeza Force. The two of them form a friendship with Broly after learning of Paragus' shock collar, and even help him toward the end of the film. His more emotional core changes the fight with Goku and Vegeta, as Goku senses that there's a strong warrior he wants to fight but is concerned that his destructive power could destroy more of the Earth in their battle. It's more of a fight to calm him down, rather than to take him down like in the original. The new Broly isn't boasting that his power is "maximum" nor is he saying that he wants to kill at all, he's just a raging fighter whose lashing out from a life of torment. It makes his eventual fate easier to accept, as well. In his original appearance, Broly is punched so hard by Goku he explodes. He was a killer who was dealt an appropriately deadly hand. But that wouldn't fly with the more emphathetic version of Broly, who has a much more surprising fate in the new film. Due to their fight taking on more of a tragic tone, and the relationship he established with Cheelai and Lemo who saw him as a confused child, Broly is saved from being defeated by Gogeta with a wish on the Dragon Balls. Cheelai and Lemo betray the Freeza Force and use the Dragon Balls to save Broly, sending him back to Planet Vampa. This restores Broly's sanity, and eventually Cheelai and Lemo head out to Planet Vampa to live with him. Goku arrives on Vampa, and provides them with supplies to let them live on that "repugnant" world and in return, wants to be able to fight against Broly from time to time. So the biggest change to Broly overall, as it turns out, is that he is no longer seen as just some killer villain that Goku must overcome. He's most likely going to now be one of their strongest allies as the series moves forward.